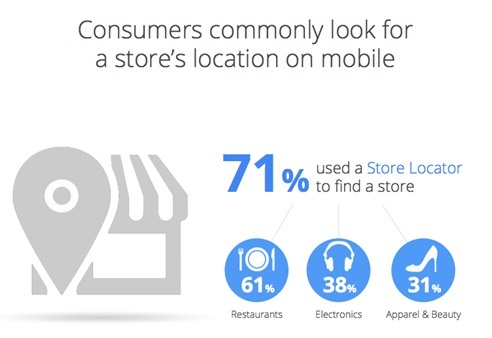 Across the web, there are countless articles and presentations that share why the imminent future is mobile and how to initiate and track mobile marketing and advertising. So, yeah, mobile phones is pretty big. Mobile website browsing is almost on a par with mobile app usage (7.3 hours per week for the former, 8 hours per week for the latter). 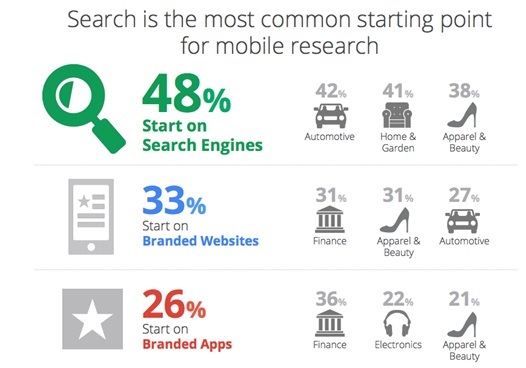 Tying in naturally with the usage of mobile for Research is the action of Search. 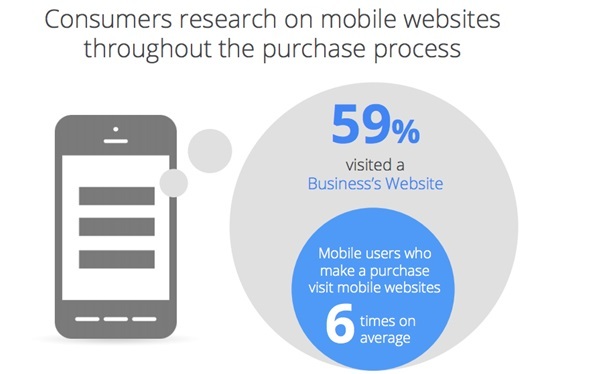 Despite the fact that mobile websites browsing and app usage accounts for a good percentage of consumer habits around your brand when it comes to research, mobile search still leads the way.